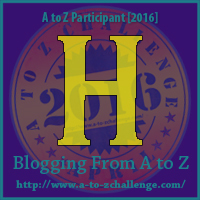 H is for Hummingbirds. These little birds with their wings that go a mile a minute, actually between 30-60 miles per hour, are so amazing to me. 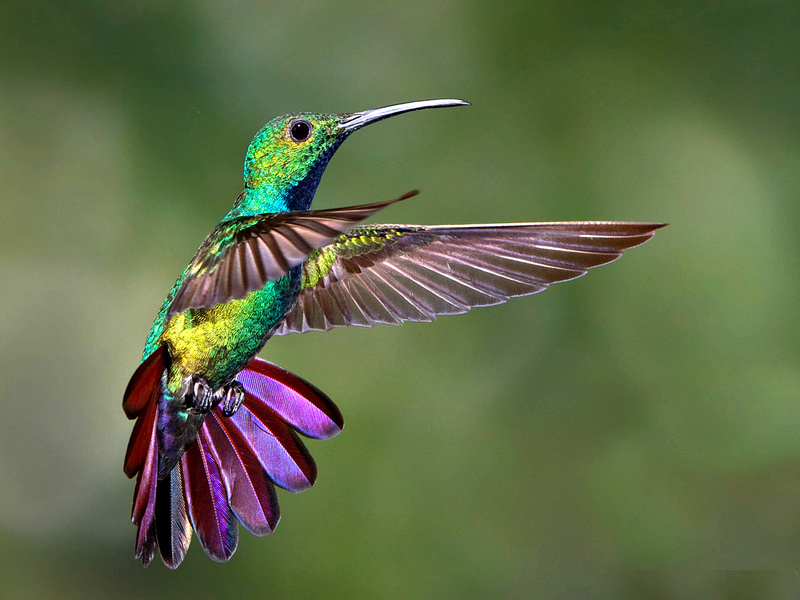 They are one of the smallest birds on Earth, but they have the most beautiful colors. Their iridescent coloring is actually the way they feathers lay and collect the light. 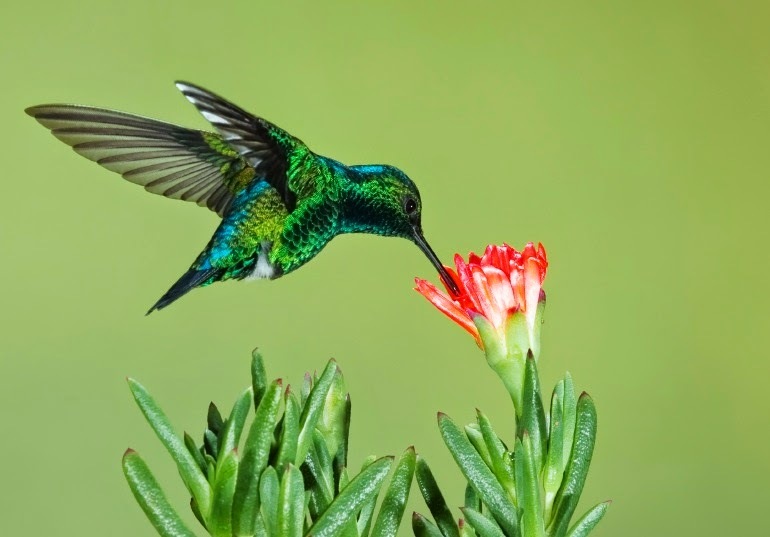 There are actually 325 different species of hummingbirds in the world. 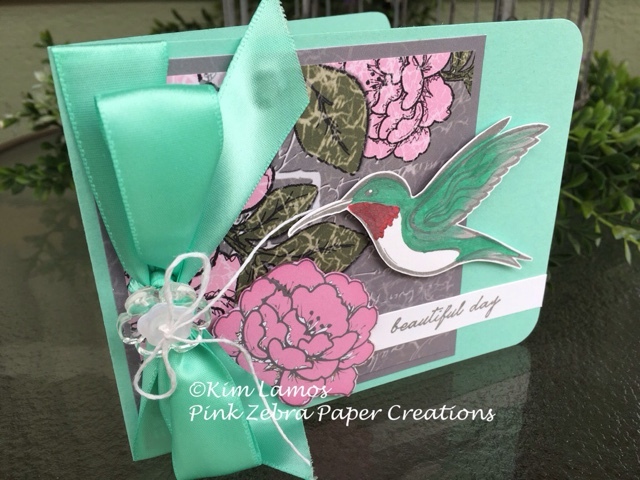 The card I created today is of a ruby-throated hummingbird. This hummingbird weighs about 3 grams, which is slightly lighter than a nickel. The base of the card is Cool Pool Cardstock. I then cut a piece of Vintage Paris Pattern paper for the background and matted this on another more solid piece of the Vintage Paris Pattern. From another piece of the pattern paper, I cut out one of the flowers and used foam squares to adhere it to my card. I then tied a bow with Cool Pool Satin Ribbon around card, adding a Clear Bloom and a Black and White button on top, tying them together with Whip Cream Thread. For the hummingbird, I stamped the image from Hummingbird Song (on sale this month for 30% off) with River Stone ink on Whip Cream Cardstock. I then detail cut the bird out. To color the bird, I used Cranberry Bliss, Cool Pool and Silver Silk. I used the Fusion Blender Brush and picked up the silk off a block and "painted" the hummingbird. You can't see it in the picture, but the hummingbird has that iridescent shine to it. Lastly, I stamped the sentiment from the Howdy Notes stamp set, "beautiful day" in River Stone on Whip Cream Cardstock. Enjoy! I love bird themes. In face my living room is decorated with a lost of bird & birdhouse decor. I'm definitely going to try your idea for using silk to create an iridescent look.